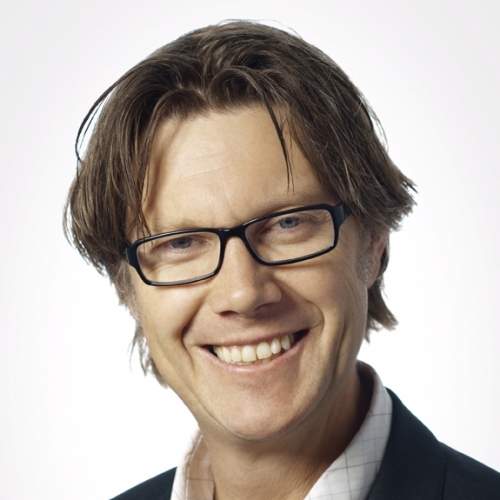 Greg Davey is an Australian Business Intelligence specialist and works as a freelance consultant in the Asia Pacific region. Greg Davey works since more than 20 years as Business Intelligence specialist, and is Asia Pacific’s first IBCS® Certified Consultant. Taking organisations through a methodology, Greg makes sure dashboards and reports really do help accomplish intended business goals and resolve business problems. 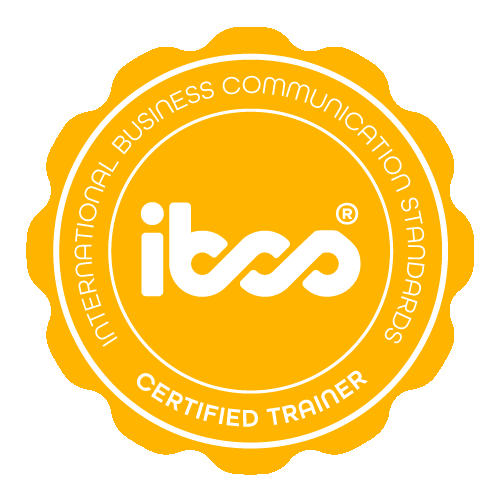 Greg designs reports, tables and charts using the SUCCESS formula of the International Business Communication Standards (IBCS®). Greg loves making the data sing to make a difference to clients and allow the dashboard and report consumers to make smarter decisions and get on with their purpose instead of chasing data. Greg Davey has successfully completed the IBCS® certification for successful design of reports and presentations at the HICHERT+FAISST IBCS Institute in September 2016 and serves as IBCS® Certified Trainer. All reports are mockups sketched in the Balsamiq application. The mockups are sketched during the gathering requirements phase, and allow quick design feedback to the business. The mockups are to be reviewed and approved before development begins. The suite of statistical charts assists Department of Construction executives track expenditure against planned funding, with the goal to efficiently spend all funds and in turn create job opportunities while improving public facilities. The Department of Construction is responsible for all government construction within the state, including roads, public housing, schools and hospitals. 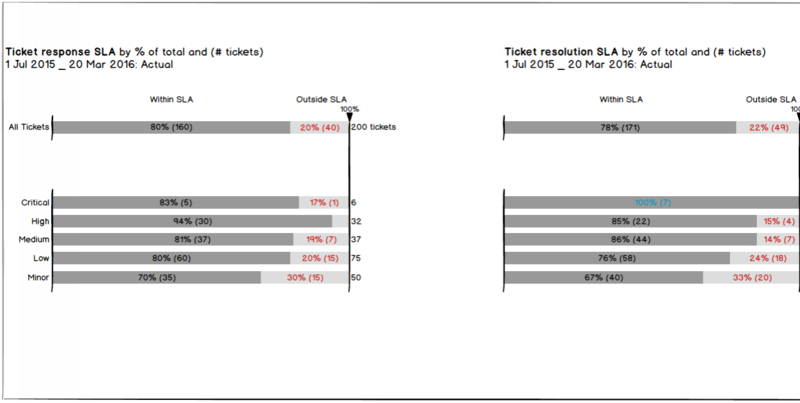 To enable quick understanding of the chart and table content, all charts and tables have a title in the top left hand corner, structured with the department names on the first lines, business measure and $m on the second line, with time period on the third line. Standard notation has been used for actual and planned expenditure across the department chart and project table. Solid dark filled bars for actual; and outlined, without any fill, bars for planned expenditure. Absolute variances between actual and planned expenditure are displayed on a separate axis. 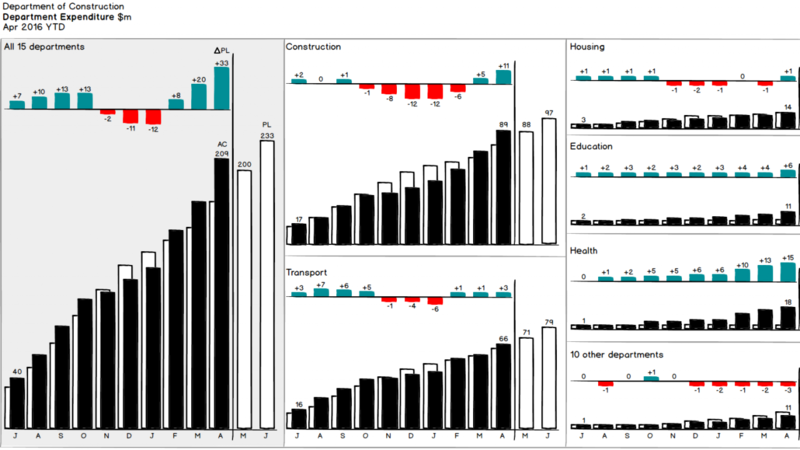 The ‘Department Expenditure’ report chart demonstrates a primary scenario, actual expenditure, in the foreground and overlapping a reference scenario, planned expenditure. 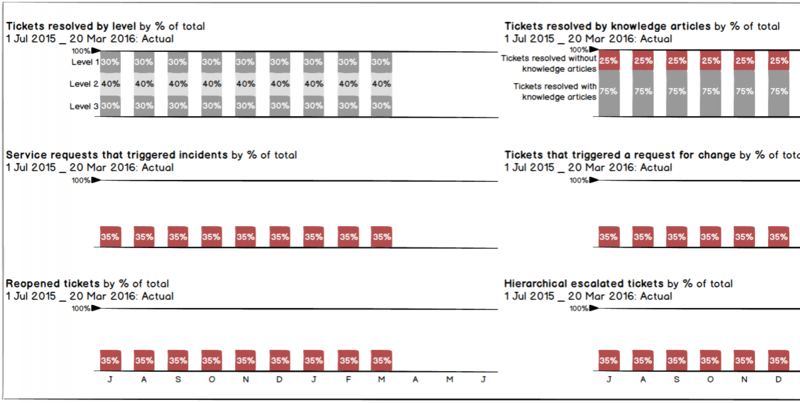 The suite of statistical charts assists IT Service Desk Managers to improve efficiency of response and resolution to tickets logged. To enable quick understanding of the chart content, all charts have a title in the top left hand corner, structured with the business measure and physical units on the first line, and scenarios, time period(s) and variance(s) on the second line. 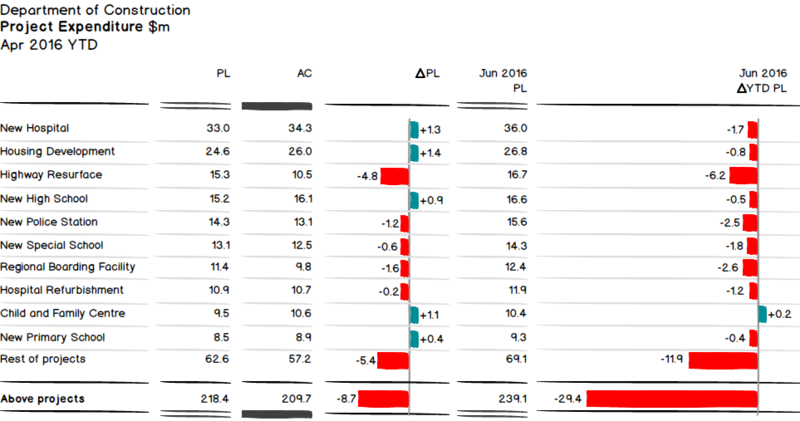 The charts on the ‘Service Provider’ report also have the service provider’s name. 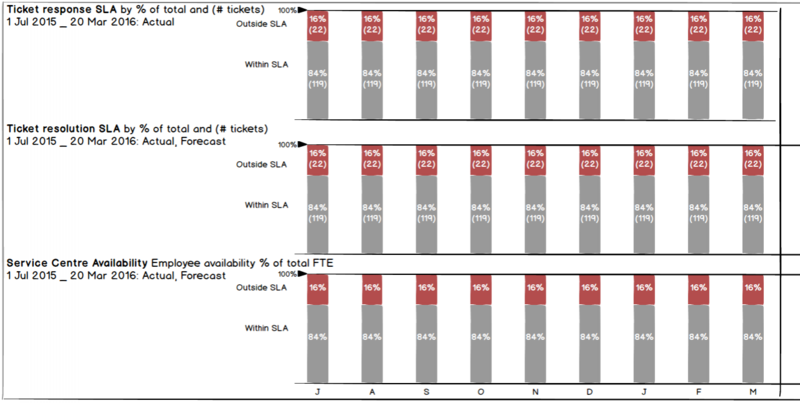 Many of the charts normalize data, for example the ‘Ticket SLA’ charts which show tickets within service level agreement (SLA) as a % of total tickets, and tickets outside of SLA % of total. All the normalised charts include a reference arrowhead and an assisting 100% line through all the bars. 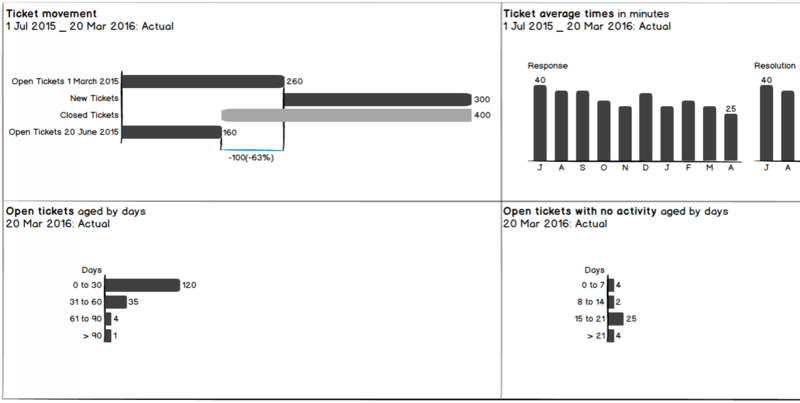 The ‘Ticket movement’ waterfall chart includes difference markers to show the good variance between open tickets at the start of the period and open tickets at the end of the period. Actual as solid fill bars. Reference scenario triangles to show the service provider performance target %, e.g. critical target of 85%. 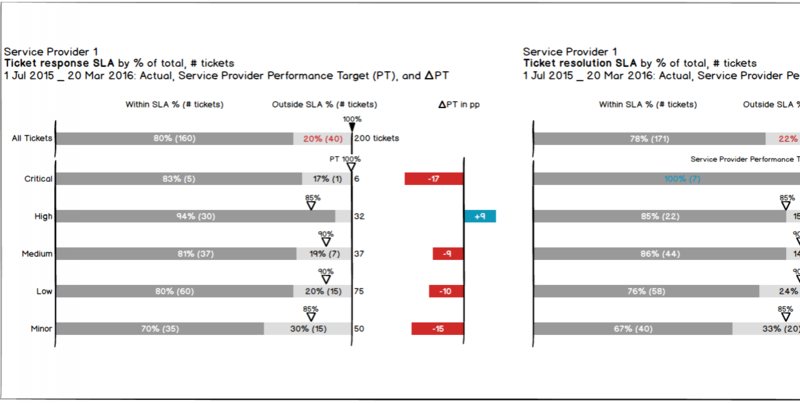 Scenario of service provider performance target (PT) variance in percentage points on a separate axis. gdBI takes organisations through the BI Dashboard Formula methodology making sure dashboards really do help accomplish intended business goals and resolve business problems. gdBI designs reports, tables and charts using the SUCCESS formula of the International Business Communication Standards (IBCS).